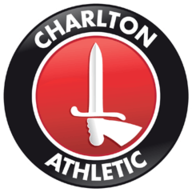 Match ends, Charlton Athletic 0, Portsmouth 1. Second Half ends, Charlton Athletic 0, Portsmouth 1. Attempt saved. Billy Clarke (Charlton Athletic) right footed shot from the centre of the box is saved in the centre of the goal. Hand ball by Jamal Lowe (Portsmouth). Attempt missed. Naby Sarr (Charlton Athletic) right footed shot from very close range is too high. Attempt missed. Naby Sarr (Charlton Athletic) right footed shot from the centre of the box misses to the right. Corner, Charlton Athletic. Conceded by Luke McGee. Ricky Holmes (Charlton Athletic) wins a free kick in the defensive half. Foul by Gareth Evans (Portsmouth). Substitution, Portsmouth. Stuart O'Keefe replaces Conor Chaplin. Corner, Charlton Athletic. Conceded by Gareth Evans. Ben Reeves (Charlton Athletic) wins a free kick in the defensive half. Delay in match Nathan Thompson (Portsmouth) because of an injury. Corner, Charlton Athletic. Conceded by Nathan Thompson. Attempt blocked. Ricky Holmes (Charlton Athletic) right footed shot from outside the box is blocked. Corner, Charlton Athletic. Conceded by Jamal Lowe. Attempt saved. Jamal Lowe (Portsmouth) header from a difficult angle on the right is saved in the bottom left corner. Kal Naismith (Portsmouth) wins a free kick in the defensive half. Attempt missed. Joe Aribo (Charlton Athletic) right footed shot from the centre of the box misses to the left. Billy Clarke (Charlton Athletic) wins a free kick in the defensive half. Attempt saved. Jamal Lowe (Portsmouth) right footed shot from the right side of the box is saved in the centre of the goal. Corner, Portsmouth. Conceded by Anfernee Dijksteel. Hand ball by Ahmed Kashi (Charlton Athletic). Dion Donohue (Portsmouth) wins a free kick on the right wing. Substitution, Charlton Athletic. Ricky Holmes replaces Karlan Ahearne-Grant. Karlan Ahearne-Grant (Charlton Athletic) wins a free kick in the attacking half. Foul by Kal Naismith (Portsmouth). Conor Chaplin (Portsmouth) wins a free kick in the attacking half. Attempt missed. Anfernee Dijksteel (Charlton Athletic) header from the right side of the six yard box misses to the right. Corner, Charlton Athletic. Conceded by Oliver Hawkins. Attempt blocked. Conor Chaplin (Portsmouth) right footed shot from outside the box is blocked. Attempt missed. Oliver Hawkins (Portsmouth) header from a difficult angle on the right is high and wide to the right. Corner, Portsmouth. Conceded by Patrick Bauer. Substitution, Charlton Athletic. Reeco Hackett-Fairchild replaces Joseph Dodoo. Substitution, Portsmouth. Matthew Kennedy replaces Milan Lalkovic. Substitution, Portsmouth. Jamal Lowe replaces Curtis Main. Karlan Ahearne-Grant (Charlton Athletic) wins a free kick in the defensive half. Foul by Milan Lalkovic (Portsmouth). Attempt saved. Billy Clarke (Charlton Athletic) right footed shot from the right side of the box is saved in the centre of the goal. Attempt blocked. Karlan Ahearne-Grant (Charlton Athletic) right footed shot from outside the box is blocked. Second Half begins Charlton Athletic 0, Portsmouth 1. First Half ends, Charlton Athletic 0, Portsmouth 1. Attempt missed. Karlan Ahearne-Grant (Charlton Athletic) right footed shot from the left side of the box is high and wide to the right. Attempt blocked. Billy Clarke (Charlton Athletic) right footed shot from the right side of the box is blocked. Attempt blocked. Gareth Evans (Portsmouth) right footed shot from the right side of the box is blocked. Attempt saved. Joseph Dodoo (Charlton Athletic) right footed shot from the centre of the box is saved in the bottom right corner. Attempt missed. Curtis Main (Portsmouth) left footed shot from the centre of the box misses to the right. Anfernee Dijksteel (Charlton Athletic) wins a free kick on the left wing. Goal! Charlton Athletic 0, Portsmouth 1. 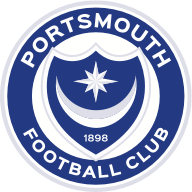 Curtis Main (Portsmouth) right footed shot from the centre of the box to the centre of the goal. Assisted by Kal Naismith. Corner, Portsmouth. Conceded by Jamie Mascoll. Attempt saved. Oliver Hawkins (Portsmouth) header from the right side of the six yard box is saved in the centre of the goal. Foul by Joseph Dodoo (Charlton Athletic). Adam May (Portsmouth) wins a free kick in the defensive half. Attempt blocked. Ahmed Kashi (Charlton Athletic) right footed shot from outside the box is blocked. Corner, Charlton Athletic. Conceded by Adam May. Attempt blocked. Ben Reeves (Charlton Athletic) right footed shot from outside the box is blocked. Substitution, Charlton Athletic. Ben Reeves replaces Tarique Fosu-Henry because of an injury. Delay in match Tarique Fosu-Henry (Charlton Athletic) because of an injury. Attempt saved. Ahmed Kashi (Charlton Athletic) right footed shot from outside the box is saved in the centre of the goal. Hand ball by Conor Chaplin (Portsmouth). Attempt missed. Karlan Ahearne-Grant (Charlton Athletic) right footed shot from the right side of the six yard box misses to the right.